Lucky415.com loves to provide event teams for all kinds of races and events. For the past year Lucky 415 has been providing event teams for adventure races around the nation. Each year Lucky415.com provides event teams and street teams for all types of grand opening events. Lucky415.com provides concert street teams each summer all over the nation and Canada. Lucky415.com loves to provide event teams for sampling events. Linkedin has turned into the facebook of the professional business world. If you are a brand ambassador and have yet to make a Linkedin profile, it might be best to start ASAP. Linkedin is a fantastic way for companies to check a person’s experience and see their resume and recommendations all on one page. For Lucky 415, this is a fantastic resource and we love it! We use Linkedin every single day to check ambassadors references, background and experience. Also a lot of clients look at the Lucky 415 profile to check and see our back ground and references. We find that our potential clients also use Linkedin to check out our company page, view our event history and experience and/or check our references! Of course before they do business with a new vendor they want to make sure they have experience in that field. Clients are able to check our extensive background with events, such as theirs, and they can feel confident when hiring us that we can get the job done. We also use Linkedin to verify new clients and to be sure look like a reputable company. This is one extra step we can take to help insure we get paid and in turn our staff. Linkedin company profiles also often allow you to read a quick paragraph about what the company does and if you have enough invites then you usually can see the employees at the company. You can also Follow the company. Now lets talk about invites. Invites are a tad tricky and some people say to let anyone into your network and others say only let people you know very well into your network. Its up to you. Usually you want to make sure you know the person or have worked with the person in the past before you send them an invite to let them into your profile. If you receive an invite and the person seems like someone you know or have worked with then allow them into your profile. The more people you have in your group the more it expands to show more and more people in the same field. It’s a lot easier than it sounds but if you have not tried it, we recommend you go ahead and give it a try. Also feel free to send me (George Hayes) a invite and I would be happy to let you into my network. If you use Linkedin and would like to send me a invite I would be happy to let you into my network. Do you need help providing event teams for running races or adventure races? Lucky415.com loves to provide sampling teams for all kinds of races around the nation. We also love to provide sampling teams in cities. We have a lot of experience providing event teams around the nation for all kinds of running race events, concert events, mobile tours, street teams, sampling teams, races, trade show events, and promotions. For three years we provided sampling teams for all the Race for the Cure events. Running races and adventure races are a great way to sample items. Most venues for a fee will allow samplers. This is a great way to get your product into the hands of a specific consumer. 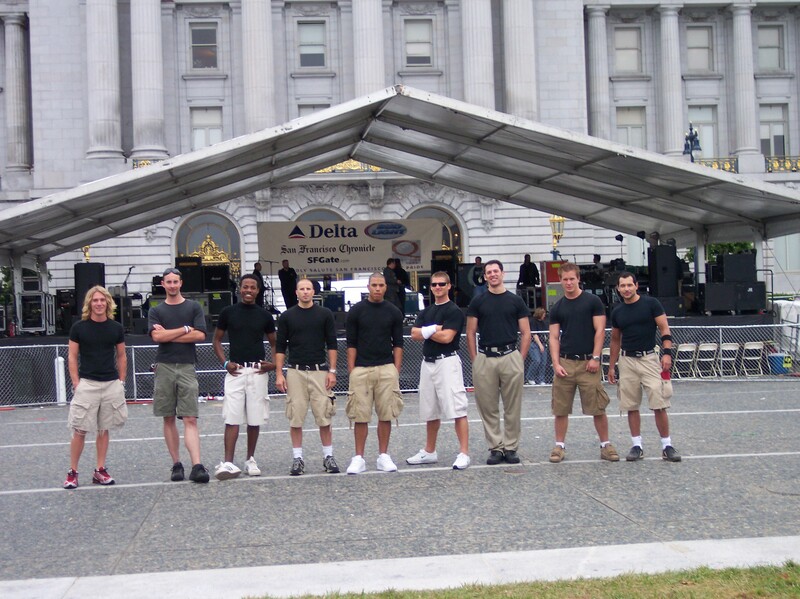 We have been providing event teams across the nation since 2003. Some of our clients have included Live Nation, Music Choice, Momentum World Wide. Sports Illustrated, Grand Central Marketing, Eventive Marketing, The Marketing Arm, Virgin Airlines, USMP, Alloy Marketing, Clear Channel, Marketing Works, Heineken, Constellation Wines, 5 w Pr, and many more. We currently have a nationwide database with around 27,000 ambassadors and promotional teams. (Lucky415.com) For a great quote email info@lucky415.com In 2008 we provided brand ambassador teams for over 400 concerts that included all the Motley Crue concerts, The Dew Tour, The X – Games, The American Idol tour, The Project Revolution tour, Duran Duran’s US and Canada tour, and the Maroon 5 tour. For five years we provided nationwide teams for all the Home Depot Grand openings. For three years we provided sampling teams at all the Race for the Cure events around the nation. For five years we provided VIP host teams for all the Duran Duran concerts in the U.S. and Canada. We have also provided numerous street team events all over the nation and each year we provide event teams at Comic Con in San Diego. For the past eight years we have also provided event teams for the Winter X-games in Aspen.